Professor of International Economic Law, Professor David Collins, comments on US President Donald Trump’s approaches to international trade. President Trump’s “America First” approach to trade, as with other issues of foreign policy, has been punctuated by promises to impose punishing tariffs on Chinese and Mexican goods and to levy a border tax on products made by US companies that shift their operations abroad. He has expressed disdain for multilateral and regional trade agreements claiming, typically with limited explanation or economic justification, that these do not serve American interests, but rather operate as cover to protectionist policies in Asia. During his election campaign Trump even declared that the US would pull out of the World Trade Organization (WTO) if it got in the way of the US’s retaliation against what he referred to as unfair trade practices, particularly by countries such as China, which he alleged manipulates its currency and dumps cheap goods into US markets. His chief trade advisors, Robert Lighthizer and Peter Navarro, are outspoken critics of both China and the WTO, including the latter’s well-regarded and highly successful dispute-settlement system. Mr Trump’s opening salvo of presidential edicts during his first few weeks in office, including the dramatic withdrawal from the Trans-Pacific Partnership, show that he is not prone to making idle threats. When it comes to trade, he is quite ready to put his money where his mouth is. Still, the UK should not be unduly worried about Trump’s supposed penchant for trade protectionism nor his aversion to the global institutions that characterised the liberal world order business-as-usual of recent times. First, as was often pointed out during the Brexit debates and subsequent discussions in parliament and elsewhere, the UK is already a member of the WTO and will benefit from its low tariff, non-discrimination and other safeguards against unfair trade practices, were they ever to be indulged in by countries like the US. The WTO courts are there to enforce these rules and do so effectively, regardless of the offending country’s size. This means that should Trump choose to target the UK for unfair trade practices, which is unlikely since there is no indication that British goods are unfairly subsidised or priced, we will have the WTO court system to rely on if any such US retaliation is unjustified or excessive. While Trump was able to take the US out of the Trans-Pacific Partnership with the stroke of a pen because it had not yet been ratified, withdrawal from the WTO would not be as easy. The US was a founding member of the WTO and the system’s rules are enacted into its domestic statutes. It would take the support from both houses of congress and many decades before the US could effectively unbind itself from its WTO obligations. Moreover, while the president remains highly suspicious of the WTO, Mr Trump’s trade team has indicated that it will pursue WTO remedies to fight unfair trade practices that harm American workers. We can expect a flurry of anti-dumping and possibly subsidies claims brought against China, Mr Trump's affable phone call with Chinese President Xi Jinping notwithstanding. Far from leaving it, the US stands to be one of the biggest users of the WTO in the years to come. Secondly, unbridled by the Lisbon Convention’s requirement for European Union-instigated trade and investment treaty negotiation, after Brexit is finalised the UK will be free to deal with the US on a bilateral basis. Mr Trump has consistently praised bilateral trade deals, possibly because he is more familiar with one-to-one buy and sell transactions from his years as a real estate tycoon. The early visit of Prime Minister Theresa May was surely a sign of warm Anglo-American trade relations, as was the Trump team’s statement that the UK would be a top priority for free trade agreements. We are the US’s seventh largest trading partner and its number one historic and strategic ally in Europe. Mr Trump himself appears to be somewhat an Anglophile, having restored the bust of Churchill to the Oval Office. His ego appears to have been nicely stroked by the invitation of a state visit to the UK on behalf of the Queen. Lastly, while we would not wish for the US to levy 45 per cent tariffs against China because this can only harm the US and Chinese economies, this strategy could represent an opportunity for suppliers from elsewhere. 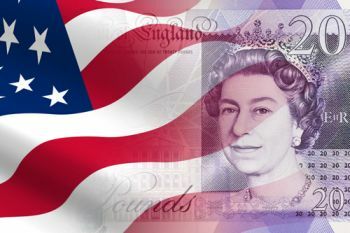 With tariff-laden Chinese goods unavailable (or too expensive) to US consumers, British manufactured goods will be that much more attractive, possibly securing better terms in bilateral arrangements. This is not to say that a UK-US free trade agreement will be inked overnight like one of Mr Trump’s real estate deals. The US takes on average about one and half years to finalise its trade agreements, which is by most measures quite fast. For our part, the UK cannot sign trade treaties while it is still a member of the European Union and a complete departure is at least two years away. 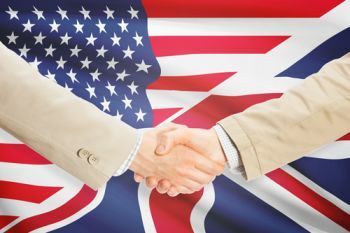 While agreeing on further tariff reductions may be reasonably painless, there will be a few points of contention in a UK-US free trade agreement, which could take some time to iron out. UK farmers could resent being exposed to competition from large-scale US agricultural firms, particularly once they are cut off from EU farming subsidies. The harmonisation of health and safety regulations on thousands of goods and services is an exhausting procedure for trade negotiators. Likewise, data protection, privacy and intellectual property protection will require extensive discussions. Some products, such as hormone-treated beef and genetically modified organisms, may not be well received by UK consumers. It will be vital for the UK to put to bed the myth that any trade agreements will expose the NHS to international competition (UK Secretary of State for International Trade Liam Fox clarified recently that this had never been on the cards) as this would be massively unpopular among the British electorate. Such a move could disappoint US negotiators who viewed UK health services as a highly lucrative and evidently underserved market. Lastly, it will be interesting to see how Mr Trump’s forthcoming financial de-regulation initiatives will be viewed by UK finance firms with New York offices. There is some concern that Mr Trump’s roll-back of bank capitalisation and disclosure rules could lead to another financial crisis. On the other hand, the lighter touch to banking regulation may suit City firms eyeing the US market as a strategic alternative to EU operations. There is encouraging evidence both that President Trump is not as anti-trade as some have depicted him and that, as his strategic trade priorities go, the UK is high on the list along with Japan (Mr Trump reportedly discussed a free trade agreement with Shinzo Abe during his visit to the White House) and Canada, with which a re-negotiated North American Free Trade Agreement also represents a strategic occasion for both countries. 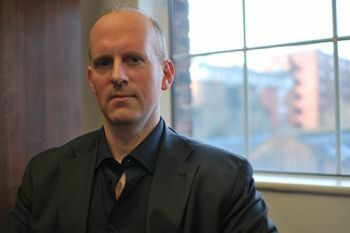 With a flexible, open-minded approach focused on common ground and committed to the elimination of redundant regulations, the UK’s new trade negotiators should be well-positioned to seize the opportunity presented by a US president who is committed to fair trade, albeit on a bilateral rather than regional basis like his predecessor. 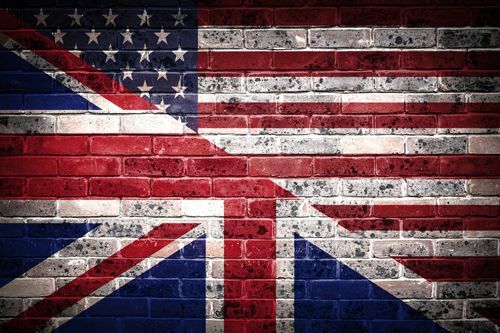 Bilateral trade deals can work, and while the power dynamics are different than in the mega-regionals, there is no clear reason to fear that the US either can or will take advantage of the UK when negotiations get under way. The Trans-Pacific Partnership (TPP), or the Trans Pacific Partnership Agreement (TPPA), is a trade agreement between Australia, Brunei, Canada, Chile, Japan, Malaysia, Mexico, New Zealand, Peru, Singapore, the United States (until January 23, 2017) and Vietnam.